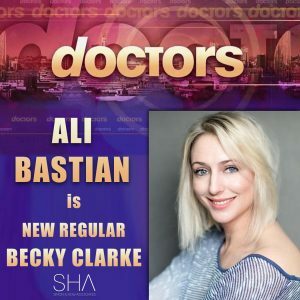 The ever talented Ali Bastian joins the team at Letherbridge as Becky Clarke in Doctors! Becky is the new addition to the surgery. A professional and hard worker who can sometimes offer…questionable advice is sure to ruffle some feathers as she tries to settle into her new home in Letherbridge. Doctors airs on BBC One every weekday at 1:45PM.